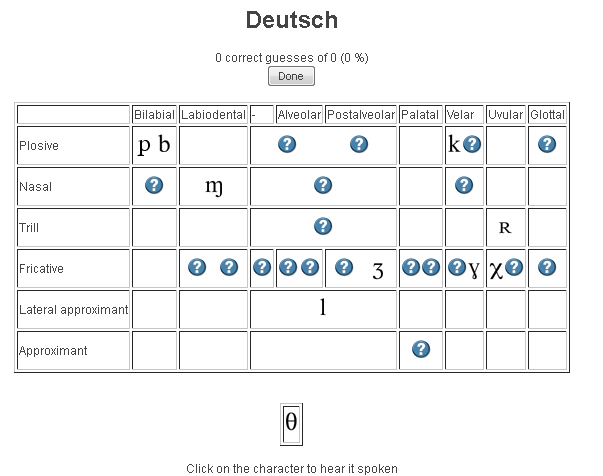 A very usable Flash application on the IPA, covering the vowels, diacritics, diphthongs and triphthongs (displaying in linear animations – pictured above – how these more complex have to be altered over time during their production), and suprasegmentals. 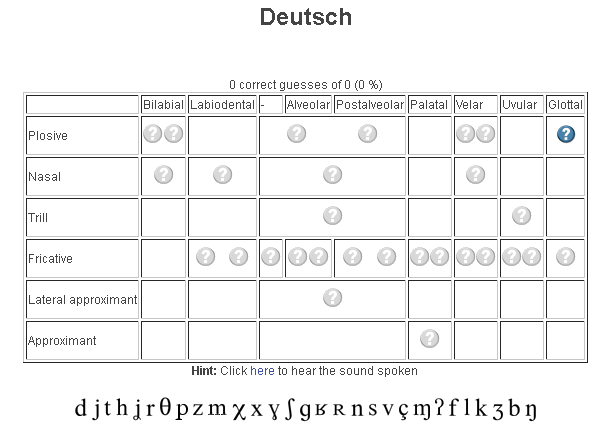 http://westonruter.github.com/ipa-chart/keyboard/: Sounds are systematically organized. Suitable for learners, but also good for teacher demonstrations. 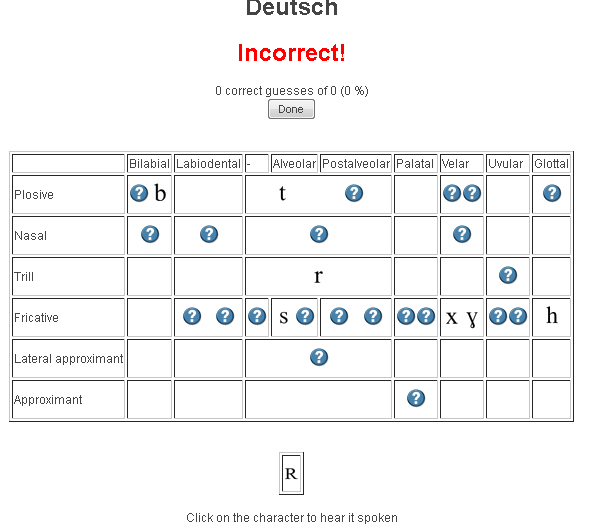 http://ipa.typeit.org/full/: Other than the English version, the full version includes non-English sounds. 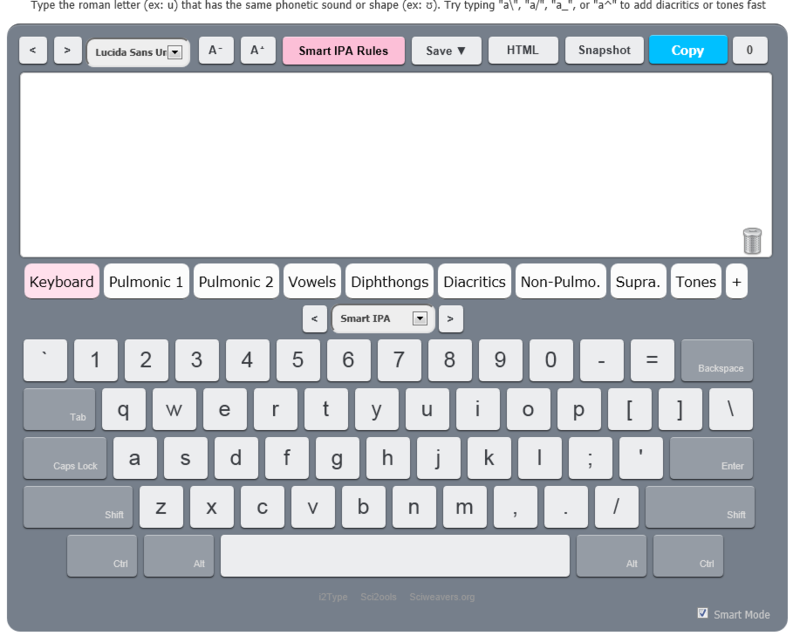 The interface is optimized for fast typing (sorted by keyboard key). Presumably better for teachers using a screen projector as a whiteboard. 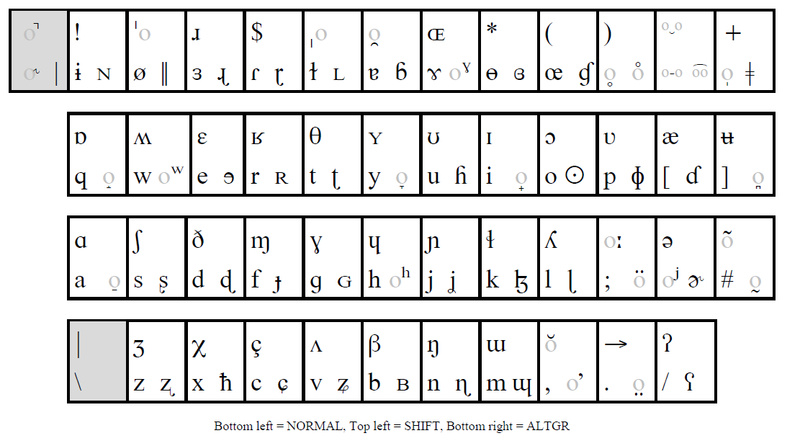 http://www.phon.ucl.ac.uk/resource/phonetics/: MS-Windows keyboard layout. May be good for even faster typing, if you can memorize the keyboard layout or add keyboard stickers (we unfortunately have too many languages vying for our hardware keyboard space already). Requires download & installation (may be added to the LRC keyboards during next imaging if we receive enough requests). 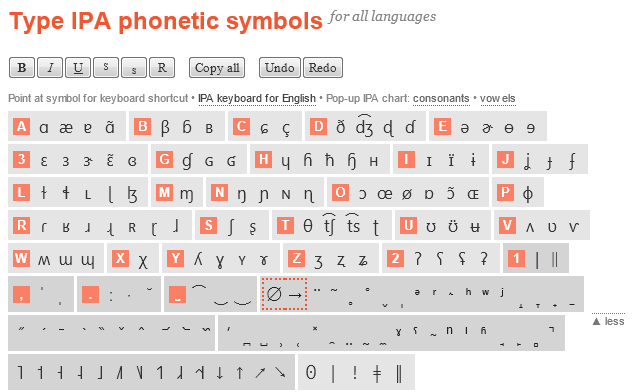 http://sourceforge.net/projects/allchars/: If you are use to the ALT+### method of entering characters and are still on XP, this may be for you: You can generate your own keyboard shortcuts for phonetic characters. 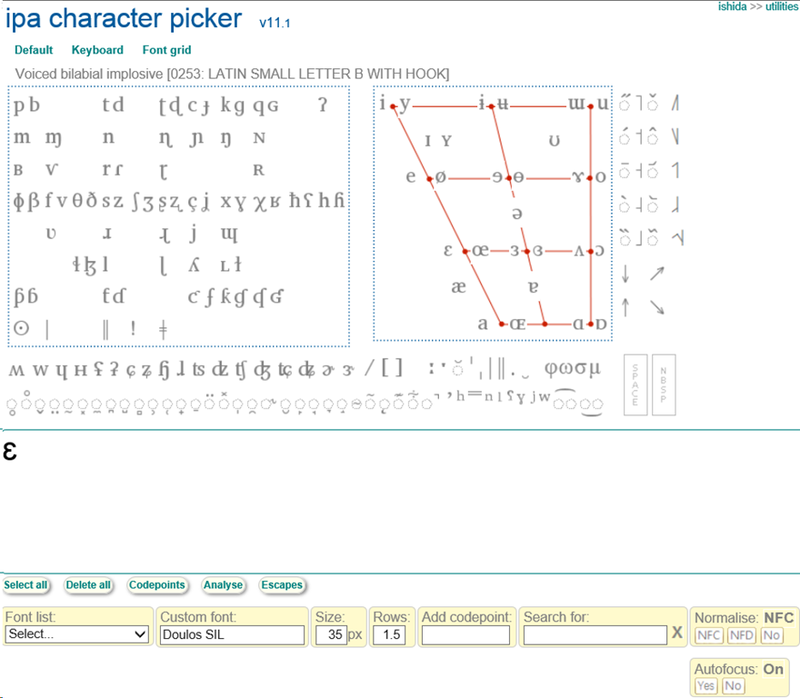 http://email.eva.mpg.de/~bibiko/downloads/uniqoder/uniqoder.html: Allows to select IPA-Symbols from a toolbar. Untested. 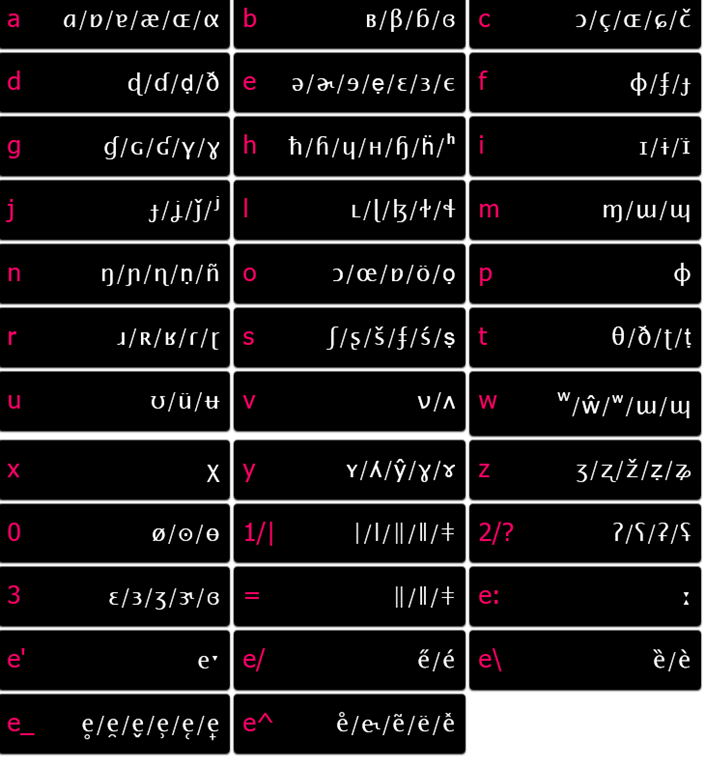 There are also always X-Sampa and CXS and ASCII-IPA: ways of writing IPA in plain ASCII messages – but yet another thing to teach novices in phonetics may be a bridge too far. I noticed phonetics teachers making heavy use of the whiteboard and document camera/projector to transcribe. Besides, the keyboard is currently not user-switchable. 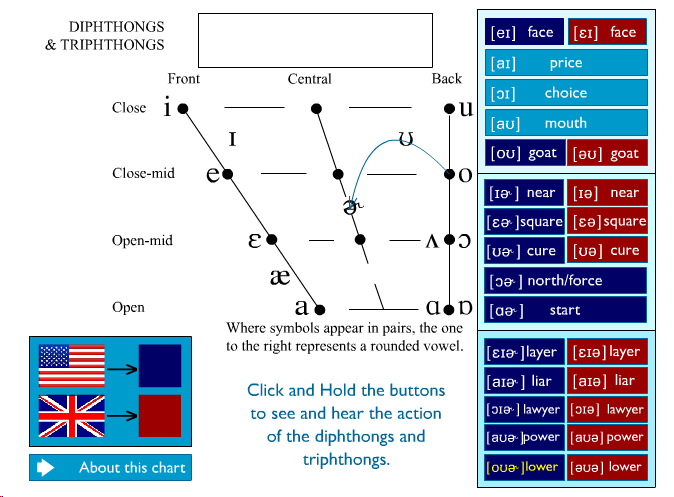 stroke-order demonstration for East-Asian languages. Unlike the document camera, the Wacom could be set up at the teacher station – no need to move to the other end of the room, and works without need for the video switch we consider replacing. finally save the drawing, if you want to reuse it or share it with students (e.g. using the Sanako playlist ). if you do not like the Wacom tablet input panel being set to represent the entire left screen that is visible to students on the projector. 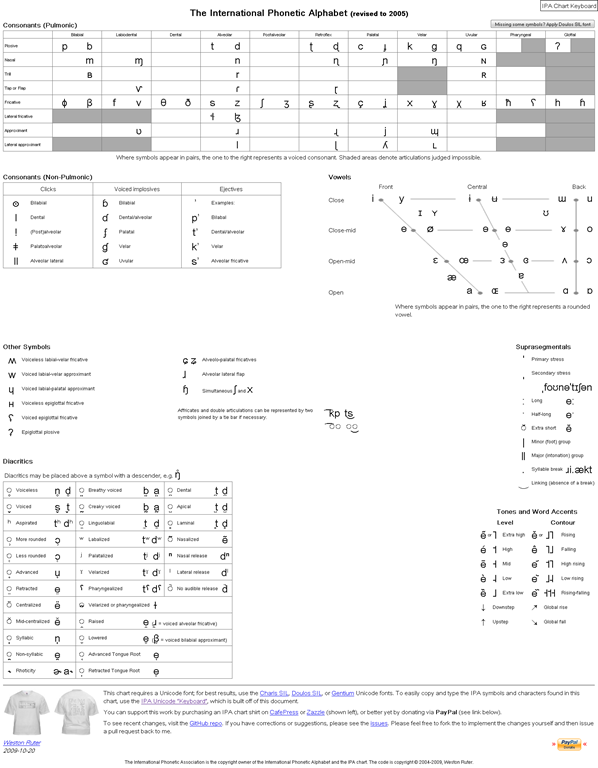 This handbook provides audio pronunciation samples (in WAV) for many different languages. 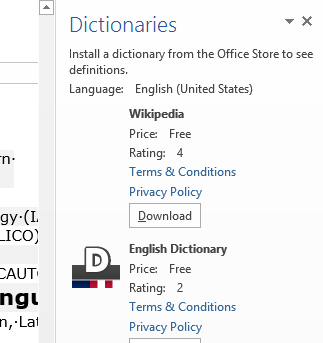 While they are more useful in conjunction with the book, they also can be searched by filename (= the pronounced word in English translation). 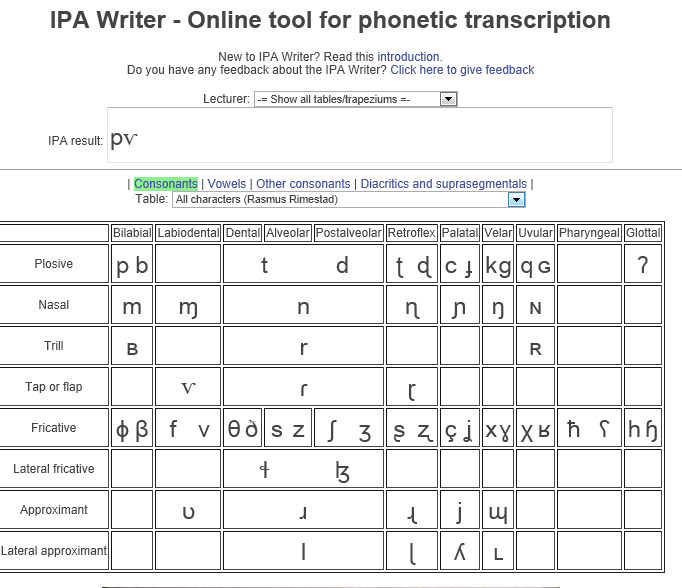 We make these file accessible in the LRC on the Sanako share (S:\COAS\LCS\LRC\media\TUTOR\phonetics\ipa-phonetics-handbook\). 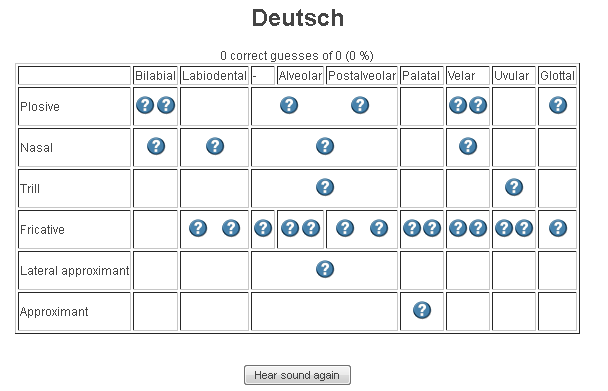 Here are the languages included:. …using animated .gifs. Slower? Compact: 0.25sec, 0.5sec, 0.75sec, 1sec, 1.5sec, 2sec, 3sec, 4sec, 5sec, 6sec, 7sec, 8sec, 9sec, 10sec. 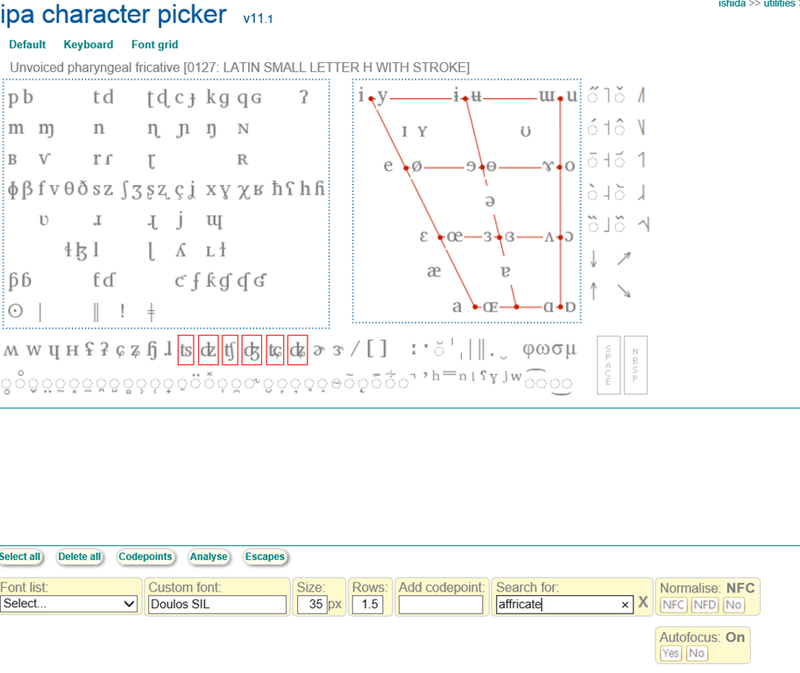 The IPA MSKLC can produce both regular Roman characters and transcriptions with phonetic symbols by employing certain “dead keys” that can be combined with regular keys. Just and like our default LRC keyboard us-international . Your first must select the keyboard like so. (Icelandic is suitable since it is not used for other purposes much). In the LRC, you must wait until we upgrade to Windows7. There seem to be some coding issues, I am getting server errors 500 after registering. 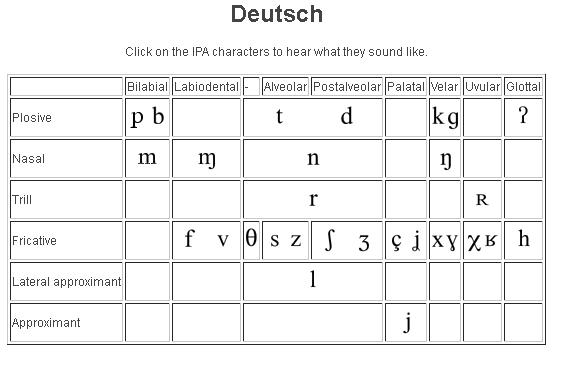 There is no content beyond the IPA sound which would put these bare basics in phonetics into language learning context and practice. 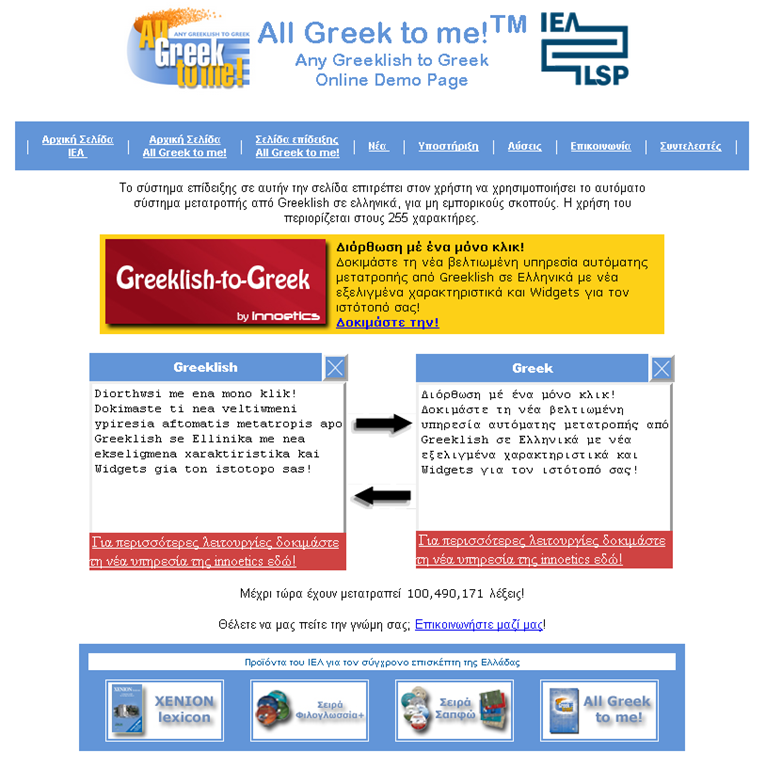 and exercises for your students (e.g. Memory games, Identifying characters , places, and sounds. or assign one of the ones from many other teachers. I see no way to browse other tables without having the username of the teacher who created and assigned it. 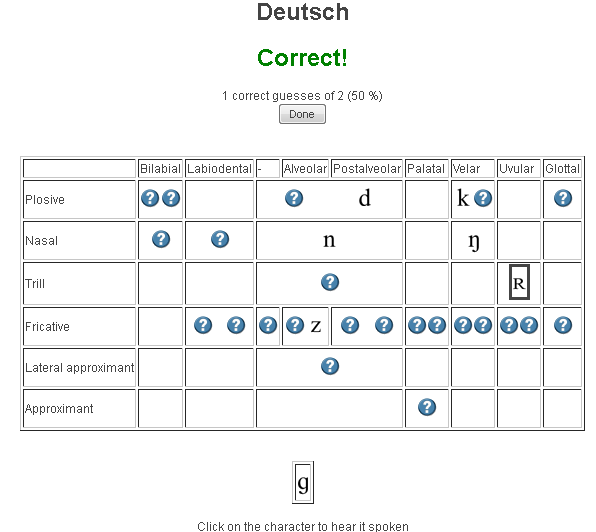 There is also a phonetic writer. And a user forum, in its infancy.